I have never owned a pet. Not even an imaginary one, though in my younger days I admit I thoroughly enjoyed the exploits of Tintin’s fearless partner Snowy, or admired the fiercely protective demeanor of Buster in End Blyton’s Five Find Outers series. Over the last few months however, I have had the pleasure of getting to know and spend some time with Jimmy, a young, energetic labradoodle who has of late been a frequent companion on long walks around the neighborhood and instrumental in getting me (for the first time ever) to not only consider jogging as a perfectly acceptable and enjoyable form of exercise, but one that I have even started enjoying in his silent, non-judgmental and patient company. 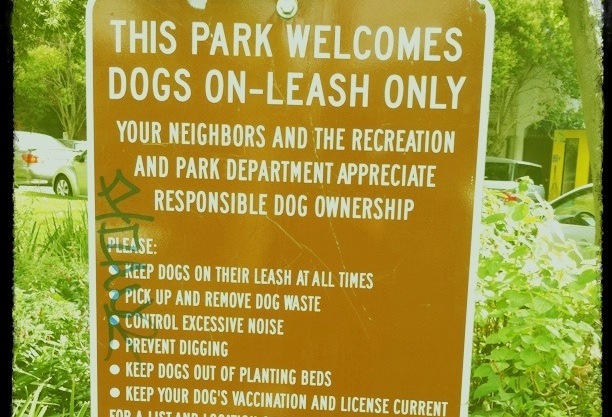 And in numerous walks/runs together, some simple observations strike me as something the human overlords of our canine friends can well learn from ! So here are Jimmy’s five rules for happy living – with some editorial liberties from yours truly. The wisdom is all his; I take full responsibility for any errors in translation. One of the first things I noticed about Jimmy is that he is always (always) happy to go out. It doesn’t matter if it’s a short walk around the block, a two-hour hike up the hills, or even a routine 10-minute ride in the car. The moment he sees the leash being taken out, shoes being laced up or car keys jingling, he cannot stop jumping for joy. I contrast that with the often sluggish shuffling of feet we all exhibit getting into the car to go to work or running an errand, and cannot help but wonder that if we just changed our attitude and walked with a spring in our step anytime we are going anywhere, perhaps, we would enjoy our trip a bit more and appreciate whatever journeys we undertake in our lives – be they momentous, or mundane. Even though we may be going on the exact same route for the umpteenth time, Jimmy never runs out of bushes to sniff or squirrels to chase. Us humans on the other hand, are generally a bored lot. We tire easily of our surroundings and too often we only find excitement in something new, rarely stopping to admire the wonder or beauty in what lies around us. So try this: admire that painting on the wall when you are waiting in the doctor’s office. Allow yourself to listen attentively to the piped music in the elevator. Take the time to smell the roses. Question yourself, your attitudes, your actions. Ask yourself if you should be doing something different, or doing the same thing differently. Curiosity may have killed the cat, but it certainly doesn’t bother the dog – and it may actually enhance the human ! At the end of an exhausting outing, Jimmy doesn’t crave a piping hot chai or reach for a cold one – He just laps up good ol’ water, gulping it down by the gallon. And then he is ready for whatever comes next. Rather than sugary drinks, caffeinated beverages (or other “stronger” stuff ;-)) we should all drink lots of water, every day. Enough said. As two people in any relationship can attest, it’s not always easy to walk together. Distractions emerge, the pace at which either of us can traverse a chosen path changes, often divergent paths appear, perhaps even beckon. But he is a young pup (literally), and I am…er, NOT a young pup. When I run, he gallops. But the moment I run out of steam and have to crawl to a walk, he slows down in a heartbeat. He even looks back and up at me (I swear, in dogspeak he is saying “are you allright?”). And you know what ? I so do appreciate it. I am perfectly well aware of my shortcomings, but to not be called out on those and be accepted for what I am, to have him keep pace with me and then to pick up speed when I am ready…I cannot help wonder that if we give our fellow companions the same patience, acceptance and support, would our lives not be a lot richer, happier and fulfilling ? And our journeys that much more rewarding?? 5. Wag your tail – a lot ! If you are reading this, it’s probably a fair assumption that you don’t have a tail to wag. I do think however that the approximate human translation for this would be to smile. A lot. Maybe even to the point that people start wondering if you are inhaling controlled substances :-)) Apart from the well known bromides about a smile using far fewer facial muscles than a frown, when you smile you tell yourself that all is well. You tell the world that it’s all good. I come in peace. I mean no harm. Have a nice day. And we can all use some happiness, peace – and an occasional nice day ! Great blog update and great read. I grew up with a dog in our house as a child. However, it’s been at least 25 years since I had a canine companion. If you get a chance read “The Art of Racing in the Rain”. Wonderful book written from a dog’s perspective. Thanks for the recommendation Marc, and good to hear from you ! E for Enthusiasm, Environment, or Email ! !